A national advocacy group for the mentally ill is decrying a Sebastopol musical show that plays on the theme of insanity and encourages guests to dress in straitjackets and hospital gowns. 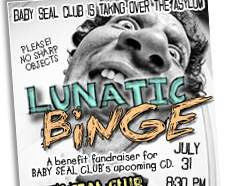 The National Alliance on Mental Illness said HopMonk Tavern’s “Lunatic Binge,” planned for July 30, reinforces stereotypes about people suffering serious ailments and should be cancelled. Trula LaCalle, executive director of the California organization, said poking fun at the insane is no different than mocking those with cancer or other disabilities. However, it was unclear if the group planned to demonstrate outside the show. She could not be reached Friday for comment. Biersch, a co-founder of Gordon Biersch Brewery, would not return calls but a spokesman for the tavern said he was shocked at the group’s reaction considering Hopmonk’s past fundraiser at the brew pub for Haitian relief. HopMonk spokesman Michael Coats said Biersch is keenly aware of “outside issues” but has no plans to cancel or change the show. He said he did not know if Biersch would meet with members of NAMI as requested in the letter. “We’re a bit surprised about any controversy around this show on Saturday considering the band and HopMonk raised $11,000 cash for Haitian relief,” Coats said. The theme was the idea of the events headliner group, Baby Seal Club, a local indie rock band whose members on Friday defended the show. The band’s bass player, who identified himself only as Wizzbang, said the intent was to mock archaic institutions and stigmas, not mentally ill people. In fact, the band is sympathetic to the plight of the mentally challenged and some have family members who have suffered, he said. Another band member said NAMI was overreacting. The band had received a number of e-mails from mental health advocates angry about the show. “There was confusion and misunderstanding about our intention,” Wizzbang said. A letter about the show was posted on the band’s website. But advocates were unsatisfied with the explanation. LaCalle said poking fun at a group is not the way to break a stigma. “I don’t buy their rationalization,” she said. She said her group got Burger King to drop ads depicting the king being chased by men in white coats. NAMI could bring it’s forces to bear on HopMonk, she said. The brew pub should cancel and issue a formal apology for promotions running in the Bohemian weekly newspaper depicting people with wild hair and gowns slit at the back, she said. One ad promised the “things are going to get weird” at the show. “When you’re on the receiving end it’s not funny at all,” LaCalle said. From the Chicago Daily Herald. Pictured is the Illinois Youth Center in St. Charles. More money or a philosophical change in rehabilitating youths in detention facilities are needed if Illinois officials want to end the problems of suicide and rampant recidivism, according to a team of experts. Illinois Models for Change, a 16-state juvenile justice systems reform initiative, released a study of the problems at Illinois' eight youth detention centers, and voiced those conclusions July 29. 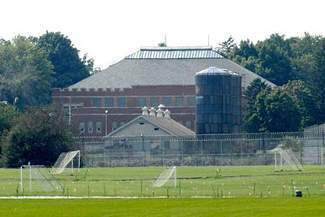 Low staffing, lack of training and a flawed approach to rehabilitating the troubled youths is endemic in nearly all of the state's eight youth detention centers, experts said. 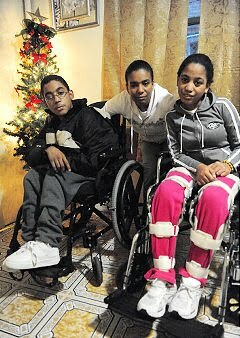 The result is youths who don't make much progress toward rehabilitation. "Often there is no assessment or an inadequate assessment of youth mental health needs," said Edward Loughran, executive director of the Council of Juvenile Correctional Administrators, and who led the team of experts. "We saw a real shortage of well-trained behavioral health staff skilled in identifying and helping with behavioral health problems in the facilities." However, the group had no answers for exactly how many new staffers are needed, how much their recommended changes will cost, or where the money will come from to pay for the improvements. Illinois politicians are considering shifting the Illinois Department of Juvenile Justice, which oversees the youth detention centers, under the overall umbrella of concerns overseen by the Illinois Department of Children and Family Services. Experts said Thursday the danger of that plan is repeating the mistakes of the past when juvenile justice was part of the Illinois Department of Corrections. Chronic underfunding and using rehabilitation and screening programs designed for adults is a still a flaw at the youth detention centers even though juvenile justice began separating itself from the department of corrections in 2006, experts said. DCFS would be another large bureaucracy for juvenile justice to get lost in, they added. The report indicates young adults are already being lost in the system, leading to two recent suicides in the youth detention centers. The youth center in St. Charles, in particular, is so short on staff that caseloads for staff trying to correct behavior is "unmanageable and foreclose the opportunity for any meaningful treatment for youth." Meanwhile, the youth center in Warrenville is one of the only facilities not viewed as being understaffed. The main problem there is lack of training and resources that results in minimal help to the residents in the facility. "Staff also reported ... that they believed no real programming exists at the facility and that the transition (away from the Department of Corrections) resulted in a loss of resources," the report reads. "The youth were described as having more freedoms and fewer consequences." Those comments fuel the fact that more than 35 percent of youths released from one of the youth centers end up back at the center or in an adult prison within one year. That reality may also support a suggestion in the study that detention facilities, in general, might be the wrong way to help nonviolent youth offenders. It costs Illinois taxpayers about $80,000 annually for each person housed in a youth detention center. There are currently about 1,200 youths in eight detention centers. "A more progressive, best-practice approach would be to fund local, community-based services capable of meeting the behavioral health needs of justice-involved youth, while keeping them in their communities and maintaining public safety," the report stated. Loughran said several states are already experimenting with different approaches by closing some youth detention centers and shifting the dollars. "Youth move from that high-intensity, and high-cost program to, let's say, a group home that may be half the cost," Loughran said. "Then the youth goes home with functional family therapy. There is a better bang for the state's buck there in terms of the rehabilitation. My hope is that Illinois would move in that direction in the next couple of years. Calls made directly to superintendents of the individual youth centers for comment were transferred to the agency's headquarters in Springfield. No one answered the agency's phones despite repeated calls throughout the day. Traditionally, we think of dogs as being the ultimate therapy animals. A growing program in the District that uses shelter cats for rehabilitation just might change your mind. It all began last winter when the Washington Humane Society started a partnership with United Cerebral Palsy of D.C. and Northern Virginia. Shelter kittens were sent to live at the UCP facilities, where cerebral palsy individuals go for treatment. Just the natural act of picking up and interacting with the little cuddly creatures has helped more than 200 patients improve their motor and sensory skills. "We have been told and we've seen for ourselves that people who haven't been interactive are really reaching out to touch the cats,” said LaFontaine. The program is also benefiting the animals. There are usually twice as many cats as dogs in Washington Humane Society shelters. The rehabilitation program has made it easier for the cats to find a permanent home. Living in an environment where they’re constantly around people makes them less skittish to potentially families looking to adopt. ALPHARETTA, Ga. -- The Alpharetta Police Department is investigating one of its own. A viewer e-mailed Channel 2 Action News reporter Diana Davis photos of an Alpharetta police car parked in the handicapped zone at the QT on Milton Parkway. Brian Davis told Davis that the officer sat there for at least 20 minutes blocking the handicapped ramp. Brian Davis, who had a handicapped family member, said the officer’s actions represents a lack of respect. “The police feel like they can do what they want, how they want, and the laws they are supposed to enforce and protect and serve don’t apply to them,” said Brian Davis. He said the spaces are clearly marked and could not have been overlooked. The Alpharetta Police Department said it has launched an internal investigation to determine the facts. The department said it “expects its officers to set an example for the community and that such behavior is unacceptable and won’t be tolerated." Disabled driver Chuck Elander said he has had it with folks parking in handicapped spots . “I’m embarrassed for them that they feel they can’t walk an extra 15 or 20 feet … I mean that’s kind of pathetic,” said Elander. Just last month, the Conyers police chief publicly apologized for parking in a handicapped spot. He fined himself $300. Alpharetta police won’t say what, if any, punishment their officer will receive. The maximum fine for parking in a handicapped spot is $500. FOSTER CITY, Calif. and WASHINGTON -- VitaPath Genetics, the Spina Bifida Association and the National Council on Folic Acid today announced the launch of the free iPhone application—the VitaTrack Folate Tracker— which allows women to track their daily intake of folate and folic acid. Maintaining an adequate level of folic acid prior to and during pregnancy can reduce the risk of serious birth defects like Spina Bifida by up to 70%. Studies show that folic acid may also help prevent congenital heart disease, pre-term labor, and cleft lip and palate. .The U.S. Centers for Disease Control and Prevention (CDC) recommends that women take 400 mcg per day of folic acid in addition to folate from regular diet at least one month before getting pregnant. Studies have shown that the average consumption of folate among women of child-bearing age is well below the recommended level. Designed specifically for the iPhone, the VitaTrack Folate Tracker app will help women ensure that they are consuming the recommended amount of daily folic acid before becoming pregnant. Users can enter the food consumed each date by selecting from more than 8,000 diverse menu items and portion sizes to calculate their folic acid intake. A soldier's uneasy readjustment to civilian life is both ages-old reality and well-worn film subject. In this story of an Iraq veteran's return to Texas, debuting writer-director Ryan Piers Williams draws upon countless earlier dramas without adding anything fresh or memorable to the discussion. Shaped more for message than for convincing narrative impact, "The Dry Land" ends up feeling like a PSA to raise awareness of post-traumatic stress disorder. As the war-stunned James, Ryan O'Nan carries an aura of psychic injury and displacement. Thrashing between reticence and violent flashbacks, James tries the patience of his adoring wife ( America Ferrera) and the sympathetic friend ( Jason Ritter) who increasingly looks like a rival. The unstable vet, determined to uncover the truth about the devastating event that eludes his memory but nonetheless haunts him, points his pickup toward Washington. Joined by an Army buddy ( Wilmer Valderrama), he aims to visit a recovering member of their unit in Walter Reed. Despite the bleak working-class milieu, the narrative strains to transcend a sense of artifice. The foreboding of an early, unblinkingly graphic scene at the slaughterhouse where James works gives way to lackluster melodrama. In his brief screen time as the maimed soldier, Diego Klattenhoff delivers the film's most affecting performance. He and Melissa Leo, as James' ailing mother, are less hampered than other cast members by the script's heavy-handed exposition, and truly hold the screen. NEW DELHI, India --With nearly 4,000 disabled athletes expected to arrive for the Commonwealth Games, a leading NGO on July 30 alleged that government has not provided accessible facilities for such sportsmen anywhere beyond the venues. "Accessibility is not about just making sports stadiums disable-friendly. There are transport services, information technology, aids, appliances and services which are to be made accessible to disabled athletes," said Javed Abidi, Director of National Centre for Promotion of Employment of Disabled People (NCPEDP). Most of the civic agencies and organisations do not even have a policy for the disabled, Abidi charged. "When countries like Thailand, Australia, Sri Lanka and China can develop public constructions disabled-friendly, why can't our government do that," he said. By this time, government should have developed accommodation that is specially created to cater to the needs of disabled athletes, he told reporters. "How are we going to provide accessibility for them? Putting up disabled-friendly signboards or construction of disabled friendly toilets is just not enough," he said. NCPEDP, in association with AccessAbility and BarrierBreak Technologies, also announced the awardees of the 'NCPEDP-MphasiS Universal Design Awards' instituted to honour those who have been doing extraordinary work towards the cause of accessibility. "Even as we speak here, there is no other award in India on accessibility or universal design. These awards are meant to spread awareness on the concept of Universal Design and would be given away on the 15th of August," Abidi said. He said the concept is about a design that could be utilised by anyone regardless of gender, age, ability or situation. Physicians for Peace–Philippines recently evaluated 74 amputees at the Santo Niño de Tondo health clinic through its Walking Free Program, integrating distance diagnostics and rehabilitation. Physical therapists used a mobile application provided by Smart Communications Inc. to determine the readiness of the patients to be fitted with artificial limb. The Amputee Screening via Cellphone NeTworking or ASCENT has mobile and Web components. Through the mobile phone as primary source of input data, prosthesis reports consisting of patient profile, medical information including images and contact details are sent to a central server via GPRS/3G and accessed by extension health workers who come face to face with the amputees. Data in the central server can be accessed directly from the Web, enabling doctors to view the reports remotely and evaluate the patient’s condition and immediately provide feedback to the health worker’s mobile phone for instructions on bandaging, rehabilitation, wound care and medications to facilitate prosthesis fitting and functional recovery. Since 2005, the Walking Free Program of PFP –Philippines and University of the Philippines–Philippine General Hospital have reached out to indigent amputees nationwide through screening and prosthesis service missions, and by making artificial limbs more affordable to the beneficiaries. NEW DELHI, India -- Parliament's standing committee on HRD has recommended inclusion of dyslexia in the definition of child with disability under RTE while also agreeing to a host of proposed amendments. In another report on the National Council for Teacher Education, the standing committee asked the HRD ministry to consult states before finalising a consolidated set of guidelines as minimum qualification for appointment of school teachers. The parliamentary panel also agreed with law ministry that School Management Committees be set up in aided schools. However, it said SMCs in unaided schools should only function in an advisory capacity, thereby safeguarding their autonomy as well as helping in monitoring 25% quota of admission for children belonging to disadvantaged groups as envisaged in the RTE Act. The panel agreed with the ministry's proposed amendment that SMCs in minority schools should function only in an advisory capacity. However, it pointed out that since the SMCs comprised elected representatives of the local authority, parents/guardians of children admitted in such schools and teachers, it was unlikely that parents/guardians and teachers would act against the interests of the school. In case of NCTE, the parliamentary panel said a coordinated exercise by the department of NCTE and HRD ministry was needed to fill the visible gaps in availability of teacher education institutions in many states. It even asked the Centre to provide special support. From USAID. In the picture, a mark is placed on a child’s hand to show that he has received a round of polio vaccine. After an outbreak of more than 413 cases of polio in Tajikistan, 1,000 teams of doctors and nurses working under a USAID grant and the Tajikistan Ministry of Health have stopped the spread of the disease nearly three months after the first cases were registered. Largely wiped out around the world since the discovery of the polio vaccine in the 1950s, the virus remains in a few remote regions of the world. International health officials, donors such as USAID, and local governments move swiftly once outbreaks are identified—including in Tajikistan. By June 21, new infections had stopped. In April, the World Health Organization (WHO) confirmed seven children in Tajikistan had contracted polio. Over the next three months, 413 cases were confirmed, signaling the largest polio outbreak in the world since 2004 and outstripping traditional polio hotspots like India and Nigeria. It was the first time such an outbreak had occurred in the Central Asian region since 2002. And, by mid-July, WHO reported nearly 700 cases of acute flaccid paralysis, a type of paralysis that is often caused by polio, in Tajikistan. Emerging cases of the paralysis usually signal the beginning of a polio outbreak. 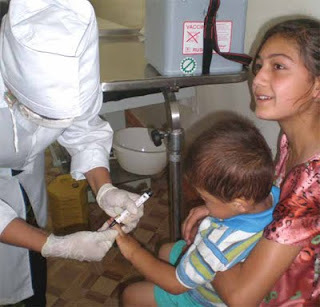 Tajikistan was certified as polio free in 2002 a result of a vigorous effort over several years by many donors, including USAID. Since then, country health officials conducted annual immunizations to ensure that the country remained polio free. USAID has pledged $3 million for renewed efforts with WHO, UNICEF, regional ministries of health, the U.S. Centers for Disease Control and Prevention, and other organizations to carry out vaccination campaigns, surveillance, and community mobilization throughout Central Asia. The Ministry of Health mobilized doctors and nurses to carry out vaccinations throughout the country. In addition, officials kicked off a massive communications campaign to inform the public about polio immunization. In addition to vaccinations, millions of leaflets, posters, and banners in Tajik, Uzbek, Russian, and Dari were distributed in health centers, schools, kindergartens, markets, and mosques. Doctors and nurses visited homes in rural areas, encouraging parents and caregivers to ensure that all children are vaccinated in every round to build up immunity. “We are thankful to our international partners for their support of the polio immunization drive in Tajikistan,” Dr. Mirzoyev said. Polio is a highly infectious viral disease that invades the nervous system. It can cause paralysis— one in 200 cases leads to irreversible paralysis, usually in the legs—and even death. The disease mainly affects children under age 5. The only way to prevent polio is through vaccination. As of June 21, the immunization campaign was drawing to a close, and no new polio cases had been reported. Both the health specialists and the donor community are hopeful the outbreak has died out. “Now that the outbreak has been stopped, it is important that we work together with the Ministry of Health of Tajikistan to strengthen the national health system, disease surveillance, and sanitation systems so that polio does not reemerge again,” said Bryn Sakagawa, deputy director of the Health and Education Office at USAID’s Central Asia regional office. The number of British troops who lost limbs in Afghanistan rose dramatically in the first half of 2010, to 38 – almost five times the figure for the same period last year – according to official statistics. Separate figures, compiled by a charity for limbless service personnel, reveal that the number of its members with multiple amputations has overtaken the number with single amputations for the first time in the organisation's history. Figures from the Defence Analytical Services and Advice centre (Dasa), part of the Ministry of Defence, appear to reflect the surge in improvised explosive device (IED) attacks on British personnel in recent months. The statistics follow last month's UN report, which showed a 94% increase in incidents involving IEDS in the first four months of 2010 compared to 2009. A Guardian documentary on US troops in Helmand province in Afghanistan reports military commanders treating the area "like a low-level minefield". No official statistics are yet available for multiple amputees this year, although Dasa reports that in 2009 55 personnel suffered the "traumatic or surgical amputation" of more than one limb, with 26 described as "significant multiple amputees". That compares with 30 amputees in 2008, and 12 the year before. The British Limbless Ex-Servicemen's Association (Blesma) says 28 members are having amputations in 2010; 11 of them are single amputees, while 17 are multiple amputees, 12 double and 5 triple. The Blesma general secretary, Jerome Church, said: "We've seen a curve dramatically upwards. Multiple amputees now make up a higher proportion of our amputee population of casualties in this conflict than ever before. By our calculations, over the last 10 months or so, the number of double amputees has more than doubled. We've had 11 or so triple amputees, half of them in the last 10 months. "My concern is with how we as a country are standing up to the challenge of the future of looking after these people." Church, a former lieutenant colonel, said he believed the figures reflected the surge in violence, but also the medical care behind the rise in survival rates of severely injured personnel. Colonel Pete Mahoney, the deployed medical director in Camp Bastion from May to July 2009, said severely injured personnel were surviving in greater numbers due to the level of medical care. "We are now seeing a much more severely injured group of survivors than previously," he said. "We are receiving into Bastion people with very severe limb and other injuries. It's a marker of how very seriously injured people are being cared for on the ground by our young medics and surviving. "Mahoney points to changes made to the "chain of care" - from the one in four combat troops whose medical training is geared to stemming catastrophic blood loss, to the medical emergency response teams tasked with recovering casualties in helicopters, to the build-up of experience gained by surgeons in the nine-year war - as being responsible for saving more lives. Mahoney said: "When a patient arrives at Camp Bastion, they have a consultant-led trauma team and a consultant-staffed surgical team waiting for them. The experience of conflict is that more and more people are going out that have been in Afghanistan before. The level of medical care has contributed to saving lives. "People with very severe injuries in previous conflicts who might not have survived now have a much better chance of survival." The number of "seriously or very seriously" wounded rose from 65 in 2008 to 158 last year. In the first six months of this year, it was 93. The N.O. 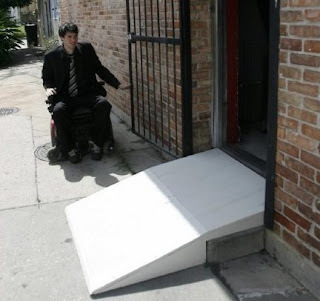 Comedy Scene, a group organized by former mayoral candidate, comedian and disability activist Jonah Bascle (pictured), kicked off a campaign on July 28 to distribute free wheelchair ramps to entertainment venues across the city. The first ramp was given to the Lost Love Lounge, where the group performs a regular Tuesday night comedy gig. Later this week, ramps will be distributed to the Big Top, La Nuit Theater and Ms. Mae's. The ramps, which cost $120 to make, are financed by donations and proceeds from comedy shows and are provided to businesses for free. "New Orleans isn't very handicap-accessible," said Bascle, who has muscular dystrophy and uses a wheelchair. "We're trying to change that." Bascle said many bars and restaurants in the city have a single step that hinders wheelchair access, a problem that the ramps -- which are removable -- will remedy. The group hopes to donate eight ramps a month, at locations from Bourbon Street to Magazine Street. They are also working on a Google map application that will let people who use wheelchairs search online for accessible venues. According to Lois Simpson, executive director of the Louisiana Advocacy Center, which lobbies for disability rights, most venues are required by the Americans with Disabilities Act to be wheelchair-accessible. But enforcement is lax, she said, and is usually only mandated by lawsuit. Last October, the Advocacy Center sued the newly renovated, city-owned Mahalia Jackson Theater for not providing adequate access to people who have disabilities. Data the group has collected have shown that a significant number of bars and restaurants in New Orleans aren't ADA compliant, and Simpson thinks that by making a few simple alterations, restaurants and entertainment venues not only can help patrons with wheelchairs, but also themselves. "They are probably missing out on a lot of business. Most people with wheelchairs don't go out alone. If places aren't accessible, they'll probably just go somewhere else," she said. Geoff Douville, part owner of the Lost Love Lounge, said he was happy to accept the ramp from the group. "We've been concerned with wheelchair access for a while. It just seemed to make common sense," he said. Bascle, 24, ran for mayor last year on a single-issue platform of making the St. Charles Avenue streetcar accessible to the handicapped. Though he received only 160 votes in the primary, his campaign, along with a February protest he organized that temporarily shut down streetcar service, drew some attention to the issue. He said Wednesday that in recent travels to Los Angeles and Chicago, he was shocked by how far New Orleans lagged behind other cities in wheelchair access. The N.O. Comedy Scene is a recent effort spearheaded by Bascle and fellow comic Byron Raila to fuse a passion for comedy with disability-related advocacy. In addition to constructing wheelchair ramps, the group plans to raise money for the Muscular Dystrophy Association and other charitable causes. 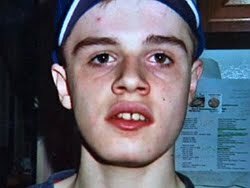 LANGHORNE, Pa. — A home for people with disabilities has suspended a second employee following the death of a 20-year-old autistic man left in a hot van after a trip to a suburban Philadelphia theme park. Twenty-year-old Bryan Nevins (pictured) was a resident at the Woods Services treatment home. He was not deemed missing until a nurse looked for him to give him medication around 4 p.m. Saturday. Nevins had returned with two counselors and three other clients around noon from a brief trip to nearby Sesame Place in Langhorne, Pa.
Woods Services said July 27 that a second residential counselor who chaperoned clients on the trip has been suspended. Officials previously announced the suspension of a counselor who served as the van driver. KUCHING, Malaysia -- It is high time for every community to take serious account of issues pertaining to disabled people. Currently, there is a tendency to leave disability issues to be addressed only by the relevant authorities such as the Health and Welfare departments. Minister in the Chief Minister’s Department Datin Fatimah Abdullah stressed that the nation must now ensure that all development efforts include the needs and well-being of those with disabilities. For example, although building designs and transport system were gradually improving in catering to the needs of the disabled, what would give greater impact was the social environment shaped by the attitude of the people, she said. She believes that Malaysia has made the start by signing the first stage of the Convention on the Rights of Persons with Disabilities and its Optional Protocol. He added that the whole conference would be structured around the sharing of experience of the disabled who know what needed to be changed. The conference was organised by Unimas Faculty of Social Sciences together with the Manchester Metropolitan University (MMU) Research Institute of Health and Social Change, United Kingdom with the broad aim of mainstreaming disability issues into development agenda. It also aimed at facilitating the establishment of effective and sustainable partnership and collaboration within and across countries to advance inclusive development. Associate Professor Dr Ling How Kee stated that the topics to be deliberated included ‘Disability and inclusive Development’, ‘Social Policy and Legislation’, ‘Accessibility and Barrier-free Environment’, ‘Advocacy and Disability Rights’, ‘Voices of the Caregivers’, Integrated or Inclusive?’, ‘Empowering Women’, ‘Technology and ICT to Promote Disability Development’ and ‘Promoting Disability Sensitive Communities for all’. Altogether, 30 papers would be presented by representatives of organisations of disabled persons, academics, government officials and policy makers, some of whom are from the United Kingdom, Japan, South Africa, Zimbabwe, Sri Lanka and Australia. British Council’s for Higher Education Regional Director (East Asia) Peter Clark, MMU’s Psychology and Disability Studies Professor Dr Dan Goodley and Unimas Faculty of Social Sciences dean Associate Professor Dr Spencer Empading Sanggin were also present. BOULDER - The case of a mother who told investigators she killed her 6-month-old son because she thought he was autistic was official ruled a homicide on Tuesday. The Boulder County Coroner says Rylan Rochester died after being suffocated. His mother, 34-year-old Stephanie Rochester (pictured) from Superior, told investigators in June that she tried to kill the child three separate times. Rochester was a counselor to autistic children at a hospital and when her own son was born last November, investigators say she became obsessed with the possibility that Rylan was autistic. According to police documents, she told investigators that is why she killed the baby. Rochester told police that on May 31, she took a plastic bag and put it over Rylan's head and then put a blanket on his face. The arrest affidavit says she took the plastic bag off but put blankets on his face two other times that night. He was taken to the hospital on June 1 where he was pronounced dead. FORT MYERS, Fla. — A Lee County man accused of fatally shooting a 20-year-old convenience store clerk during a 2007 robbery continues the fight to save his own life. Chad Moreland (pictured), 27, was in court on July 27 as his attorney filed a second motion seeking to bar the death penalty in the capital murder case. 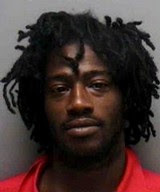 Moreland is accused of killing Gerald Rabon during an Aug. 25, 2007, robbery at the Pik ‘N Run on Alico Road. Earlier this year, a Lee Circuit judge found that Moreland was competent to stand trial and not legally mentally retarded, meaning he could face execution under state law. However, a final judgment on Moreland’s mental status would only come after conviction and a jury’s recommendation for death. Moreland’s attorney wants the penalty thrown out before trial. Prosecutors, meanwhile, haven’t indicated they’ll drop their pursuit of execution. Tuesday, assistant public defender Neil McLoughlin filed a motion to have the penalty barred under a 2002 U.S. Supreme Court ruling that called the death penalty “cruel and unusual punishment” when applied to the mentally retarded. He contends the case requires Moreland’s mental status be determined up front. “I’m saying Atkins is a bar (to execution), and the court will decide before trial,” McLoughlin said after the hearing. Thus far, four doctors have testified that Moreland has an IQ below 70, a score widely considered the threshold for mental retardation. Lee Circuit Judge Edward J. Volz ruled in March that Moreland did not show an adequate deficiency in “adaptive behaviors” to meet the legal standard of mental retardation in Florida. In Atkins, the U.S. Supreme Court case, justices cited a similar standard, explaining that most experts defined mental retardation as comprising both intellectual and adaptive limitations. McLoughlin said he’s working with a new expert who can speak to Moreland’s adaptive skills. Also on Tuesday, McLoughlin filed a motion seeking to have Moreland’s statements to police barred, based on the defendant’s low IQ. The motion states that Moreland was “unfairly deceived” by the interrogating detective. Moreland confessed to the robbery and told Lee County Sheriff’s detective Shawn Ramsey the shooting was an accident, according to the motion. Prosecutors on Tuesday said they hoped to be ready for trial by December but will need time to respond to the new motions. They anticipated no plea agreements. Volz told attorneys he wanted hearings on each of Moreland’s motions and all depositions completed by Nov. 1, with a pretrial conference slated for December. The trial has already been postponed multiple times. “It’s a little late for all this,” Volz said of McLoughlin’s motions. Moreland’s sister, Iris Moreland, 30, pleaded no contest in 2009 to second degree murder, armed robbery and grand theft in the case. Under the deal, she would be sentenced to 40 years in prison and may be called to testify against her brother. Rabon, the clerk killed in the robbery, was an Eagle Scout who worked at the convenience store for $8 an hour. He was enrolled in the Lee County Sheriff’s Office Explorers, a program intended for teenagers interested in law enforcement careers. Detectives say he fought with Moreland during the robbery and was killed in the tussle. When Nancy Wiskari's son with autism slipped away from the back yard of their Naperville home a few years ago, her first emotion was helplessness. "He was gone for a very short period of time, but when he was gone, I realized immediately how unprepared I was, and I was terrified I had put him in that position," Wiskari said. It's an ordeal she hopes to never put her son through again, now that 9-year-old Carson wears a thin wristband outfitted with a radio transmitter that will allow authorities to find him within minutes if he wanders off. Carson was the first Naperville resident to use the human tracking technology after the city's Police Department started the program four years ago. Today, the families of 25 children and adults with autism, Alzheimer's and other neurological disorders use the devices. "At first we thought the families of seniors with Alzheimer's would be our main audience, but it has become wildly popular in the autism community," said Naperville police Officer Marita Manning. Like Alzheimer's patients, people with autism can have a hard time communicating to someone else that they are lost and need help, Manning said. They often will not respond to searchers who are calling their names. "They are mostly people who are non-verbal," Manning said, "and it just takes a second for someone to get away, through no fault of their families or caregivers." Naperville was one of the first towns in northern Illinois to offer the program, and others have followed, including Orland Park, Palos Hills, Buffalo Grove, Huntley, Crystal Lake and McHenry. Meanwhile, Crest Hill, Lockport and Romeoville expect to have their tracking programs running in a few months. With the continued aging of the country's population, and with autism rates still ticking upward, Lockport police Officer Jeren Szmergalski expects the program to grow along with those demographic trends. "We might not see a huge amount of calls on patients this year, but slowly through the years, I'm sure the calls will increase," Szmergalski said. "It's better to have a system already in place than to sit back and then say we should have had it when we are faced with an incident." Buffalo Grove is rolling out the program and will start promoting it in early August at a community-wide crime prevention event and at Buffalo Grove Days festival. Crime prevention Officer Paul Jamil said, "We get calls for kids with autism, Down syndrome and other special needs that wander away from the home on a regular basis, and it will be nice to offer this to residents." Jamil said the receivers used by officers have a range of about a mile on the ground and 5 miles in the air, should authorities perform aerial searches. Mike Chylewski, vice president of Care Trak International, headquartered in downstate Murphysboro, said the company has sold the tracking devices to about 600 police departments and sheriff's offices nationwide, including 25 in Illinois. The wristbands and tracking equipment used by police have led to 2,000 rescues across the country since the wristband was used in 1986, Chylewski said. The success rate has been 100 percent, he said. "The reason it's so high is that we educate people about wandering children and adults. The key is to put in those 911 calls immediately. We've found them on moving buses. We've tracked a guy to a McDonald's. We've found them covered over in tobacco fields in Virginia," Chylewski said. Care Trak is a subsidiary of Wildlife Materials Inc., which first used the technology to track endangered animals before applying it to humans. Mobile receivers pick up signals from the wristbands through walls and other obstructions, Chylewski said. "The beauty of it is it's incredibly simple," he said. "I can take you out and make you a tracking expert in 20 minutes." The cost to a typical department is about $5,000 to get started, Chylewski said. Private organizations in Lockport, Crest Hill and Romeoville raised money for the equipment, and Lockport Township will pay the $250 wristband price for any resident who enrolls in the program. In Naperville, the city's Exchange Club has been the program's largest benefactor. Lockport Township Supervisor Judy Batusich said she hopes every police department in Will County eventually adopts the wristband program in the face of explosive growth in the county's senior population. In the past several years, seven new senior developments have sprouted in Lockport Township alone. "It's dear to me because my father had Alzheimer's," Batusich said, "and I do know what the caregivers go through. My dad was a wanderer." In the four years that Carson Wiskari has worn the soft, vinyl wristband, he has not wandered too far from his mother's side, but she said the extra level of protection has given her a peace of mind she did not have before. "This is better than a GPS, because it goes through buildings, so if he goes in somebody's garage, we can find him," she said. "You don't have any time to spare when your child is missing." Terron Ponder squealed with laughter as he reached out and touched a dolphin -- a new and exciting experience for anyone, but especially for him. The 16-year-old was among 20 visually impaired teens and young adults who were treated to a session at Miami Seaquarium's Dolphin Encounter July 29. ``The skin feels like a floatie'' -- a pool toy, Terron said, eagerly feeling the mammal's wet skin for the first time. Other youths chimed in with their opinions of the sensation: More like rubber or wet hotdogs -- or even jelly, they opined, giggling and touching. The 14- to 20 year-olds, all legally blind and many with additional special needs, came to Dolphin Harbor as part of Miami Lighthouse's transition program, which is geared toward young adults in the process of switching from high school to the workplace, or a center for higher education. The program aims to help the students gain a sense of empowerment, as well as independent skills necessary to have a mainstream job and function alone. While sighted people would be able to see the advancing dolphins' Hollywood smiles from a mile away, these teens heard the mammals' clicks and whistles grow louder and felt the lapping water's changing vibrations to identify the dolphins' imminent approach. The visually impaired teens also were able to observe certain details that most sighted people fail to pick up on. As mammals, dolphins have hair when they are young that they shed by adulthood. When mobility helper Stephanie Davis guided Frankie Young's hands over Jupiter the dolphin's elongated rostrum, Frankie noticed indentations in Jupiter's snout where the whiskers used to be. Andrew Hertz, executive vice president and general manager of Miami Seaquarium, said that the dolphins and participants had some similarities: The visually impaired use heightened senses to make up for their lack of sight. And although dolphins have 20-20 vision, they use sound to ``see'' their surroundings. With innate sonar, dolphins can sense what is around them by using bouncing echoes. As the teens in the transition program predominantly come from financially disadvantaged families, Jacko said she was grateful that the youths and 10 helpers were able to participate -- for the third time -- in a Seaquarium feature that usually costs $139 per person. ``This is the opportunity of a lifetime,'' she said. MUMBAI, India -- The Bombay High Court has directed the Maharashtra government to clarify its stand on allowing visually challenged and other disabled students from pursuing professional and health science courses. The court was hearing a petition filed by a 17-year-old visually challenged Ruparel College student who is seeking admission to the physiotherapy course at G S Medical College attached to KEM Hospital. A division bench of Chief Justice Mohit Shah and Justice S C Dharmadhikari has sought the information from the government by August 2. The judges have also asked the authorities to allow the student, Kritika Purohit, to attend lectures, even as the bench asked the Directorate of Medical Education and Research to keep one seat vacant. Kritika's lawyers, Jamshed Mistry and Kanchan Pamnani, informed the court that she had cleared the MH-CET (Maharasthra common entrance test) and medical tests and was ranked third in the physically challenged category. The government sought a year's time to make arrangements for visually challenged candidates to take the course. The court has asked the petitioner's lawyers to make state disability commissioner, G S Medical College and Maharashtra University of Health Sciences, parties in the case. Kritika, one of the first visually challenged students to get admitted to the HSC, science stream, in the state, after scoring 82% in her SSC examinations, moved the High Court when she was barred from appearing for the MH-CET examinations. The High Court intervened to allow her to appear for the exams. The state pointed to the Medical Council of India rules, which specify that only a disabled person with a locomotive disability of the lower limb (50% to 70%) could apply for MBBS courses. According to Kritika's lawyers, the state has not applied its mind on whether visually challenged students can pursue other health science and paramedical courses such as physiotherapy, which do not involve invasive surgical procedures. The Persons With Disabilities Act makes it mandatory for 3% reservation for disabled persons in college admissions. Students who are visually challenged, though, are unable to get admissions to several courses, her lawyers have claimed. From the National Organization on Disability. Pictured are Jacqueline Peralta, with her kids Luis and Carla Diaz, who are students at PS 79 in NY City and were featured in a 2009 NY Daily News story about schools shortchanging disabled students by sending them home early. NEW YORK -— On the 20th anniversary of the signing of the Americans with Disabilities Act (ADA), a new survey sponsored by Kessler Foundation and National Organization on Disability (NOD) finds that most Americans with disabilities are still struggling with many of the same lifestyle and economic issues they confronted in 1990 when the ADA became federal law. The 2010 Kessler/NOD Survey of Americans with Disabilities, conducted by Harris Interactive, reveals little or no substantial gains in 10 key indicators ranging from employment and income to social engagement and life satisfaction. Employment remains the largest gap between people with and without disabilities and is directly linked to the continued lack of progress in other key areas for people with disabilities, such as income, access to health care and socialization. Among all working-age people with disabilities, only 21% say they are employed full or part time, compared to 59% of people without disabilities – a gap of 38 points. This gap has decreased since it was first examined in 1998 but it still remains large and its decline has been slow. "We are privileged to live in a country that committed 20 years ago to equalizing rights and opportunities for people with disabilities," said NOD President Carol Glazer. "The disability rights movement lags behind other civil rights movements and we have to catch up. There is a role for everyone. Governments need to remove disincentives for people with disabilities so they can start to work. Businesses need to realize the enormous contributions workers with disabilities can make. Schools need to prepare students with disabilities sooner for the world of work. And Hollywood should routinely feature more people with disabilities in their TV shows and movies." Rodger DeRose, President & CEO of Kessler Foundation, says the stark survey results must be a call to action. "While it’s important to celebrate the ADA as a powerful legislative tool that has provided people with disabilities equal access to education, housing and employment, let’s not pat ourselves on the back when so much work clearly remains," said DeRose. DeRose would like to see leaders from non-profit, education, business and government sectors come together to examine ways to bridge the gaps identified in the survey. "A great deal of innovation and passion exists, but we have yet to truly come together as a community to talk through these issues and deliver solutions for the largest minority group in the nation," DeRose added. This marks the sixth effort over the past 24 years to assess the quality of life of people with disabilities on these indicators, and to track them over time. NOD, Kessler and Harris Interactive have established a series of 10 indicators of significant life activities of Americans with disabilities. These indicators, which have been tracked over the course of six surveys, are: employment, income, education, health care, access to transportation, socializing, going to restaurants, attendance at religious services, political participation and life satisfaction. This year, three new indicators were added, which include: technology, access to mental health services and overall financial situation. •Employment represents the largest gap between the two groups. Of all working-age people with disabilities, only 21% say that they are employed, compared to 59% of people without disabilities – a gap of 38 percentage points. •People with disabilities are still much more likely to be living in poverty. 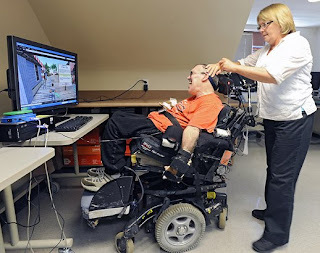 •People with disabilities are less likely than those without disabilities to socialize with friends, relatives or neighbors, once again suggesting that there are significant barriers to participation in leisure activities for this population. •The second-largest gap between people with and without disabilities is regarding Internet access. 85% of adults without disabilities access the Internet, whereas only 54% of adults with disabilities report the same – a gap of 31 percentage points. "There have been some improvements measured over the years that may be in part attributable to the implementation of the ADA of 1990," said Humphrey Taylor, Chairman of The Harris Poll and member of the NOD board. "However, much work remains to be done in order to narrow the considerable gaps that still exist. Hopefully policymakers, employers, and the disability community will work together to translate these findings into action and policies designed to improve the lives of the millions of Americans with disabilities." Nuance, the company that makes Dragon NaturallySpeaking for Windows, is in a pretty sweet position: It’s essentially a monopoly. 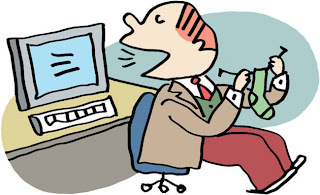 One by one, its competitors in the speech-recognition business have either left the market (Philips), gone out of business (Lernout & Hauspie) or turned over its product to Nuance (I.B.M.). Even the sole Mac speech-recognition program, MacSpeech Dictate, can no longer be considered a kind of rival; Nuance bought it this year. Only the underappreciated, mostly ignored Speech program in Microsoft Windows is around to keep Nuance on its toes. But here’s the thing: When you’re a monopoly, what incentive do you have to innovate? Does Nuance have the spine to keep prices down and quality up when it’s the only game in town? As a clue, you can try out NaturallySpeaking 11, which goes on sale Thursday. This upgrade follows the same philosophy as the last few annual updates. It’s full of nips and tucks, all welcome, all well-executed, though none killer — and the annual improvement in dictation accuracy. Back in December, Nuance began offering a free iPhone app, Dragon Dictation. 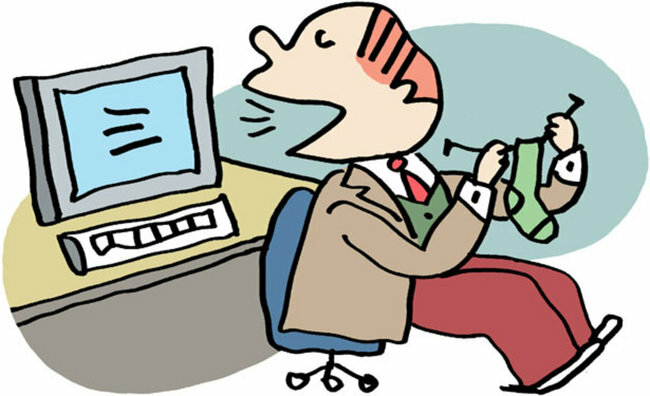 You speak; the company’s computers in Boston analyze your snippet; within seconds, the converted, typed text appears on your screen. But this was no altruistic move; Nuance had an ulterior motive. Its computers keep copies of those hundreds of thousands of dictated messages (no names attached, of course), creating an amazing central archive of American voices and speech patterns. Nuance engineers later exploited this gold mine, using it to test out new recognition algorithms to improve Dragon’s accuracy. Sneaky, eh? Visual changes greet you, too. The biggest one is a cheat sheet of commands that fills a panel on the right side of your screen. It eats up a lot of space, but it’s probably a big help to people who have never realized that you can do a lot more than speak-to-type. You can also control the computer itself. You can open programs (“open Firefox”), pick menu commands, click Web links, move the cursor, format text (“italicize ‘The New York Times’ ”) and so on. In version 11, you can apply the same formatting (like bold, italic or underline) to every occurrence of a word or phrase in a document. That came in handy when I dictated something about Twitter, and Dragon consistently refused to capitalize it. No problem; I capitalized all occurrences afterward, with a single command. NaturallySpeaking has never handled children’s voices well, but that’s changed, too. Now even first graders can be first-class speech citizens. Over time, your software is supposed to get better and better because each time it makes a mistake, you’re supposed to correct it with your voice. You say, “correct ‘ax a moron,’ ” and up pops a numbered list of alternate transcriptions. You say “choose 2,” the program fixes the text, it learns from its mistake, and you go on. Unfortunately, to the company’s great frustration, a certain percentage of NatSpeak owners never used the “Correct” spoken command to fix mistakes. Instead, they just double-clicked the error and typed over it, depriving the software of the chance to learn. For these people, accuracy never goes up. So in version 11, Nuance did another sneaky thing; if you manually edit something NatSpeak transcribed, the software compares the new phrase you type with what you originally said. If you change text to something completely different (“a hot day” to “a scorching afternoon”), the software assumes you’re just editing. But if they sound alike — if you change “basic aberration” to “basic operation,” say — then the software concludes that you’re correcting a transcription error, and it learns. In other words, accuracy will now improve even for people who refuse to get with the program. Version 10 introduced shortcut commands like “Search the Web for ‘san diego pizzerias” or “search maps for 200 West 79 Street, New York, New York.” You’d marvel as your PC flew into action, bringing up a Google search or Mapquest page for whatever you said. There’s more of that in Version 11. In addition to “search the Web for...”, “search e-mail for...”, and “search my computer for...”, you can now speak similar commands to search Wikipedia, Twitter, Facebook and eBay. There are other improvements, too. If your PC has a multicore processor, NatSpeak divides up the recognition tasks to get better transcription results. The little yellow floating box, where a half-formed transcription used to appear before pouring the text into your document, is gone; now a little Dragon cursor moves along with your text, and changes shape to indicate when it’s ignoring the incoming sound, like when you cough. There’s been some price improvement, too; the Pro version, with features for managing people’s voice accounts over a network, now costs $600 instead of $900, and the Legal edition goes for $800 instead of $1,200. Still stratospheric, but no longer something out of Monty Python. In short, what’s good about NaturallySpeaking has gotten better. But some of what’s wrong with it stays wrong. For example, you can edit by voice, with complete random-access control of what you’ve already “typed,” in many important programs — all the Microsoft Office programs, for example, and, now, the free Open Office Writer word processor. But when you dictate into a program like Skype, all you get is creepy random strings of letters, completely useless unless you work in a license-plate factory. The feature that purports to insert commas and periods automatically, without your having to speak them, is still so tentative and flaky, it wastes more time than it saves. Writing by dictating still requires a mental adjustment; you pretty much have to know what phrase you want before you start speaking. And accuracy results vary widely according to accents and other factors. It’s probably not worth the $100 to upgrade to Dragon 11 if you already have 10 (and maybe even 9). But if you have an earlier version, or if you’ve never even tried dictation software, you’ll probably be amazed at how far the technology has come. Yes, Nuance has a near-monopoly in the speech-recognition game, but it’s nice to see it making steady improvements and price cuts as if it didn’t. BP's $20 billion fund to compensate those hurt by the Gulf oil spill will probably turn down one controversial class of claims: those for mental health problems. 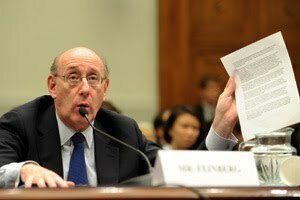 In little-noted testimony before the House Judiciary Committee on July 21, Kenneth Feinberg (pictured), the independent "claims czar" who will decide who gets compensated, said the fund was not likely to pay damages for mental illness and distress alleged to be caused by the spill. "If you start compensating purely mental anguish without a physical injury -- anxiety, stress -- we'll be getting millions of claims from people watching television," Feinberg said. "You have to draw the line somewhere. I think it would be highly unlikely that we would compensate mental damage, alleged damage, without a signature physical injury as well." Feinberg's policy will affect individuals and businesses with claims against BP, but not claims by the government. Claims by state and local governments for the costs of additional services will not be evaluated by Feinberg, and are handled directly by BP. As we've reported, the Louisiana health department has warned of a looming mental health crisis  in communities affected by the oil spill and is pressing BP to pay for its costs. On July 9, health commissioner Alan Levine wrote to U.S. Health and Human Services Secretary Kathleen Sebelius  that state counseling teams were encountering "increases in anxiety, depression, stress, grief, excessive and earlier drinking and suicide ideation" following the disaster. BP has not yet responded to Louisiana's request that it pay $10 million to cover the costs of emergency mental health services. BP spokeswoman Patricia Wright said that the calls for funding for mental health services -- which have also been submitted by Mississippi, Alabama and Florida  -- have been requests rather than formal claims. She confirmed that the company has not yet responded to the requests. While Feinberg's standard is separate from BP's policy on requests or possible claims by states, it shows that he is following the guidelines set by liability law. Tort law generally holds that mental health problems must be accompanied by a physical injury to merit compensation, David Owen, a law professor at the University of South Carolina, has told us. However, Congress could direct Feinberg to expand the type of damages that his fund will cover. When Rep. Sheila Jackson Lee, D- Texas, pointedly asked him  at the July 21 hearing if he would cover damages such as mental health if Congress passed a law requiring it, Feinberg replied that he would. ADA's 20th anniversary all over the Internet, but CNN online doesn't caption White House ceremony - FAIL! For the 20th anniversary of the Americans With Disabilities Act on Monday, there was a big ceremony at the White House, where President Obama gave a speech. A number of people with disabilities attended, including Marlee Matlin, upon whom I have a huge crush. Matlin is an awesome actress, and she’s also a tireless crusader for captioning, including online and offline. Many news outlets covered the event, including CNN. ‘Obama marks 20th anniversary of landmark disabled rights law‘ features not one, but two videos. Guess how many of them are captioned. Feel free to Tweet @CNN and ask why their story about the ADAhttp://tinyurl.com/326npmy WASN’T captioned! FAIL! Still no word from @CNN about lack of captions on their internet story about accomplishments of the Americans with Disability Act." The points Matlin is raising are important. Especially given that a bill improving media accessibility just cleared the House of Representatives, this is more important now than ever, because the government is actually starting to think seriously about these issues and it’s taking steps to improve media accessibility. As Matlin points out, that bill doesn’t mandate captioning for web-only content. If content hits the airwaves, it has to be captioned, and when it is displayed online, those captions have to be made available. But if content is developed specifically for a website? No captions needed, under the bill’s terms. We need Internet captions. We need them now. CNN has a feedback form and they say they welcome comments. Internet, you know what to do. 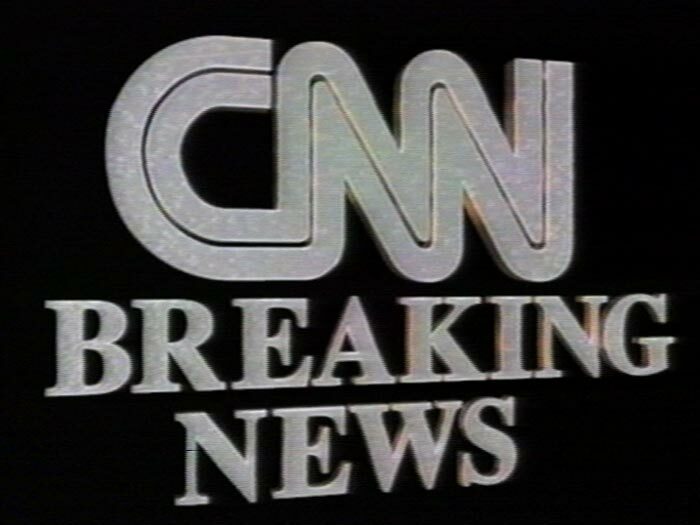 ETA: I posted full transcripts of CNN’s content, for those who wanted to access it and couldn’t. And to make a point. Accessible content: Not that hard to provide, CNN. Even one of the remaining participants, Inglis resident Stu Sanderson (pictured), 55, who was born with cerebral palsy, plans to stop soon. How can people with disabilities in developing countries better access microfinance? Can a person with a disability living in a developing country become the valued client of a financial institution? According to Harvard Law professor Michael Stein, 650 million people around the world, nearly 10 percent of humanity, have a disability, and over 80 percent of these people live in developing countries. Yet, in research studies, fewer than 1 percent of the clients of microfinance institutions, dedicated to serving the world's financially excluded people, were found to be persons with disabilities. One of the last great human rights struggles is only now starting to penetrate the world of low-income finance. But how best to make progress in disability inclusion? In June, the Center for Financial Inclusion at ACCION, in conjunction with the Disability and Development team of the World Bank, brought disability activists together with leaders from microfinance in a roundtable entitled, "A New Financial Access Frontier: People with Disabilities" to begin a dialogue. Disability activists and microfinance professionals are two tightly knit communities with their own vocabularies and their own ways of seeing the world so it is not surprising that at times heated debate preceded agreement on clear objectives. In 2006, the passage of the U.N. Convention on the Rights of Persons with Disabilities gave the disabilities community a major boost. This Convention requires all ratifying governments to "promote, protect and ensure" the rights of persons with disabilities. 2010 also marks the twentieth anniversary of the Americans with Disability Act, and implementers of that landmark legislation testified to the remarkable changes it has brought about. Unyielding commitment to the human and economic rights of persons with disabilities is the lifeblood of many people in the disability community. The activists carry this message to financial service providers: Financial service providers wake up and act! It's a matter of human rights, and it's the law (in 85 countries). The microfinance professionals, for their part, were happy to acknowledge the justice of the cause, and admitted to being somewhat abashed at their own ignorance. But, they approach the topic with a certain "Show Me" wariness. Their dedication to reducing financial exclusion notwithstanding, they want to be convinced of a business case for inclusion of persons with disabilities that is realistic and sustainable. Moreover, the U.N. Convention, though perhaps an interesting sign of the times, is certainly not a mandate they feel direct pressure to fulfill. Once the two sides got past their introductory positioning, they began a fruitful search for strategies that might work. Listening, it struck me that the biggest barriers are less practical than about attitudes. Yes, physical accessibility matters, but in the context of developing countries, accessible design in a bank branch means little if the road to the bank is unpaved and pot-holed. Technologies like mobile phone banking and voice-enabled ATMs could overcome physical barriers at a stroke. They generated much hopeful enthusiasm, even though they have yet to be used widely to reach low income or disabled clients. But negative attitudes are the real tough nut to crack, for both prospective clients with disabilities and for microfinance providers. Many person with disabilities have experienced so much societal exclusion and marginalization during their lifetimes that they often lack the confidence to approach financial institutions or to even conceive of themselves as microentrepreneurs. Disabled persons organizations (DPOs) and other disability rights organizations work on overcoming such barriers, both societal and self imposed, and help prepare their clients to connect with mainstream institutions, among them financial. On the provider side, staff are often the perpetrators of exclusion, simply because they have absorbed the culturally prevailing images of people with disabilities as not competent or unable to handle financial responsibilities. In some cases, laws still create roadblocks, for example, if blind people are prevented from signing contracts they cannot see. Cultural attitudes may be starting to shift, thanks to the Convention. Both sides agreed that persons with disabilities do not need special financial products to succeed, even though they may need flexible accommodation to help them access mainstream products. A number of microfinance specialists reminisced about specific clients with disabilities. They reported that these were solid clients: resourceful people who knew how to overcome challenges and who were happy to receive a chance from a bank. When they talked about these clients, they sounded a lot like the early advocates of microfinance two decades ago, countering the objections of mainstream banks to serving the poor. In those days, the microfinance activists insisted that the poor and excluded were capable of being responsible clients. One hundred and fifty million microfinance clients later, the bet on the poor has proved sound. Round-table participants are preparing now to make similar bets on people with disabilities. ISLAMABAD, Pakistan -- A total of 328,880 children in Fata and 4,471 children in four districts of Khyber-Pakhtunkhwa have remained inaccessible for polio immunisation, members of the National Steering Committee, which comprises experts from the World Health Organisation, UNICEF and the Bill and Melinda Gates Foundation, were told here on July 26. Seventy-three per cent of children under 5 years of age in Orakzai Agency were inaccessible. A considerable number of children in other agencies of Fata were also not accessible, the meeting was told. Accessibility of polio teams to areas where the security operation is underway remains a major concern. The emergence of the 4th polio case from Bajaur Agency last week, which brought the tally to 31 cases so far this year, has highlighted the need to urgently access affected areas and provide immunization services before the poliovirus spreads across the country through mass migration of population from these areas. Responding to the situation, a crisis committee titled the Crisis Task Force for Polio Eradication has been constituted in Fata. The committee is headed by the additional chief secretary of Fata, who is based in Peshawar. Secretary Law and Order and Secretary Administration and Coordination-Fata are also members of the Crisis Task Force, while Director Generals of Health and Disaster Management Authority-FATA have been included. The Crisis Task Force also has representation of the Pakistan Army with a Brigadier from 11 Corps included, besides a representative of the IG Frontier Corps. They have been tasked to ensure access to children in areas where security forces are undertaking operations. Besides support from the Armed Forces, the Crisis Task Force will seek to work with the local elders, influentials and religious leaders for effective implementation of the polio drive. An oversight plan is also being developed in this regard in consultation with the political agents and health managers of the area. Meanwhile, the Ministry of Health has requested the Medical Corps of the Armed Forces of Pakistan to provide assistance in administering polio vaccine to children in security compromised areas of the country. A letter in this regard was recently sent to Surgeon General, Pakistan Army, requesting for support in accessing and immunizing children in areas where security forces’ operations are underway. The Scottish Football Association (SFA) has announced that former Scotland forward Darren Jackson (pictured) will act as ambassador for the 2010 CPISRA European Football 7-a-side Championships in Glasgow next month. Between 17 and 28 August, Glasgow will welcome nine European countries, along with guest nation Australia, for the cerebral palsy (CP) football tournament, organised by the Cerebral Palsy International Sports and Recreation Association (CPISRA). Jackson's involvement is intended to encourage more players to participate in CP football – which is specifically for players who have cerebral palsy, have suffered a stroke, or have any other acquired brain injury. CPISRA was awarded UEFA's CHF 1m charity cheque in 2007. Jackson, now 43, recovered from a brain injury shortly after joining Celtic FC from Hibernian FC in 1997. 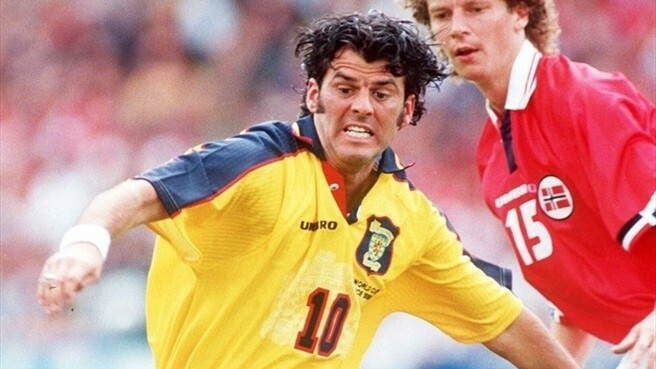 "When I found out I needed a brain operation it was a huge blow," he said while promoting the event to be staged at the Toryglen Regional Football Centre. "I appreciate the strength that football gave me at that time and the support network. That's why I'm backing the championships and the SFA's drive to recruit more players for their CP programme." The former Newcastle United FC and Dundee United FC attacker rebuilt his career and went on to play for Heart of Midlothian FC. Stuart Sharp, the SFA national development manager for disability, added: "It's fantastic to have Darren as he will enhance the profile of the sport. We need the public to be aware of all the opportunities that exist for people with disabilities to play football, whether at recreational, regional or national level." Scotland's CP team, ranked seventh in the world, will compete against Denmark, England, Finland, Netherlands, Republic of Ireland, Russia, Scotland, Ukraine as well as Australia at the championships. LOS ANGELES, Calif. - Returning defender Ashley Fiolek (pictured) revved up the field and the audience as she took the gold for the second year in a row in the Moto X Super X Women's Final at The Los Angeles Memorial Coliseum. Last year, she made competition history as the first hearing-impaired medalist. "Christmas came early this year!" said Fiolek. "This is a great way to get the weekend started, and now I can sit back and enjoy the rest of the X Games." Silver and bronze came down to the last lap as Tarah Gieger and Sara Price were neck-and-neck the entire race. 2008 gold medalist Gieger edged out Price to take second place. "I am surprised and excited to finish in the top three," Price said. "I didn't realize that I had medaled until my mechanic told me." "It's leaking into normality. It is shrinking the pool of what is normal to a puddle," said Til Wykes of the Institute of Psychiatry at Kings College London. Wykes and colleagues Felicity Callard, also of Kings' Institute of Psychiatry, and Nick Craddock of Cardiff University's department of psychological medicine and neurology, said many in the psychiatric community are worried that the further the guidelines are expanded, the more likely it will become that nobody will be classed as normal any more. "Technically, with the classification of so many new disorders, we will all have disorders," they said in a joint statement. "This may lead to the belief that many more of us 'need' drugs to treat our 'conditions' -- (and) many of these drugs will have unpleasant or dangerous side effects." "It's a bit like telling 10 people with a common cold that they are "at risk for pneumonia syndrome" when only one is likely to get the disorder," Wykes told the briefing. "During the last decade, how many doctors were harangued by worried parents into giving drugs like Ritalin to children who didn't really need it?," their statement asked. Millions of people across the world, many of them children, take ADHD drugs including Novartis' Ritalin, which is known generically as methylphenidate, and similar drugs such as Shire Plc's Adderall and Vyvanse. In the United States alone, sales of these drugs was about $4.8 billion in 2008.